Place the rice in a bowl with sufficient water to cover; allow to soak for one (1) hour. Drain and discard water. In a medium pot, boil 1.5-quarts water; add the 1 Tbsp salt and pre-soaked rice. Return to a boil then cook five (5) minutes more. Drain and set aside. Melt butter in a 9- or 10-inch skillet. Add all vegetables at once and simmer over Low heat for ten (10) minutes until soft. Stir in rice and continue to cook for two (2) minutes more. Add the 1 tsp salt, pepper, thyme, bay leaf and beef stock. Transfer the mixture to a 2-quart casserole; cover and bake at 375ºF until liquid is absorbed, about thirty-five to forty (35 to 40) minutes. 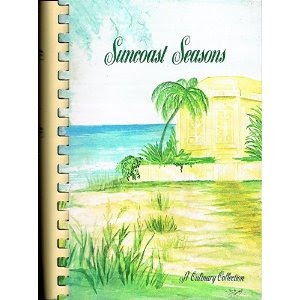 The Ritz Restaurant in Clearwater, FL contributed this recipe to Dunedin Youth Guild, Inc, Suncoast Seasons: A Culinary Collection (Orlando: Moran Printing Company, 1984), 404.